I recently made my semi-annual trip to Wal-Mart in search of new Petites and Hard Candy nail polishes. Sadly, they didn't have either (figures. 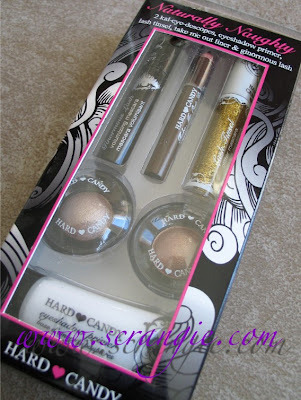 ), but they did have these new Hard Candy gift sets all stacked together, lying down flat in the wrong spot on a random shelf near the Hard Candy display in the cosmetics section. Par for the course, I suppose. 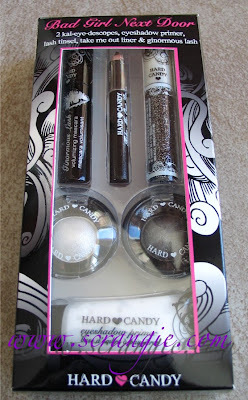 But- I have been wanting to try some of the new Hard Candy cosmetics. I have a bunch of their old stuff and I've been curious to see how they compare. I bought most of the sets- they were between $5 and $8, so no big loss if they sucked. 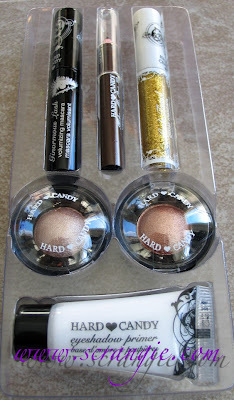 Here are the Bad Girl Next Door and Naturally Naughty sets- basically a brown and black version of each. Everything is displayed on a clear plastic tray inside the box. Abyss Take Me Out Liner. Swatched over the shadow primer. Bad Reputation, Abyss, Spellbound. 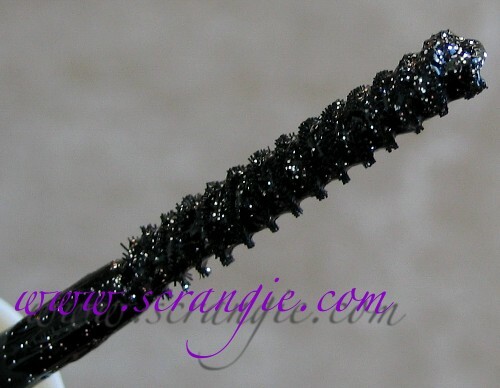 That's what Spellbound looks like applied heavily over mascara. I had better results when I applied it over already dry mascara, otherwise it clumps funny. 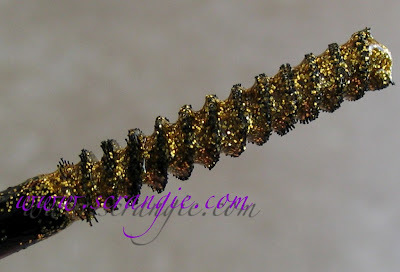 It does look a little like lash dandruff or something... It's prettier at night. Naturally Naughty contains Ginormous Lash, Take Me Out Liner in Dim Sum, Lash Tinsel in Gold Digger, Kal-Eye-Descope Baked Shadow in High Maintenance and an eyeshadow primer. Swatched over the shadow primer. High Maintenance, Dim Sum, Gold Digger. This is a look I attempted to do with the Naturally Naughty shadows. 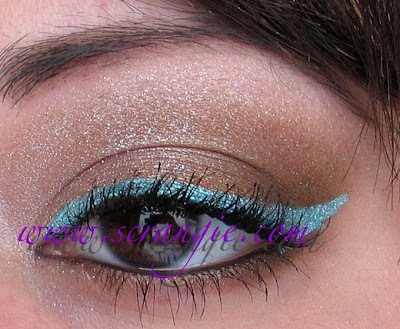 They barely showed up at all and I got frustrated so I covered the entire thing in a thick layer of MAC Reflects Transparent Teal glitter and some Fyrinnae Futuristic Glamrock as eyeliner. In all honesty, I can't say I'm impressed by these. 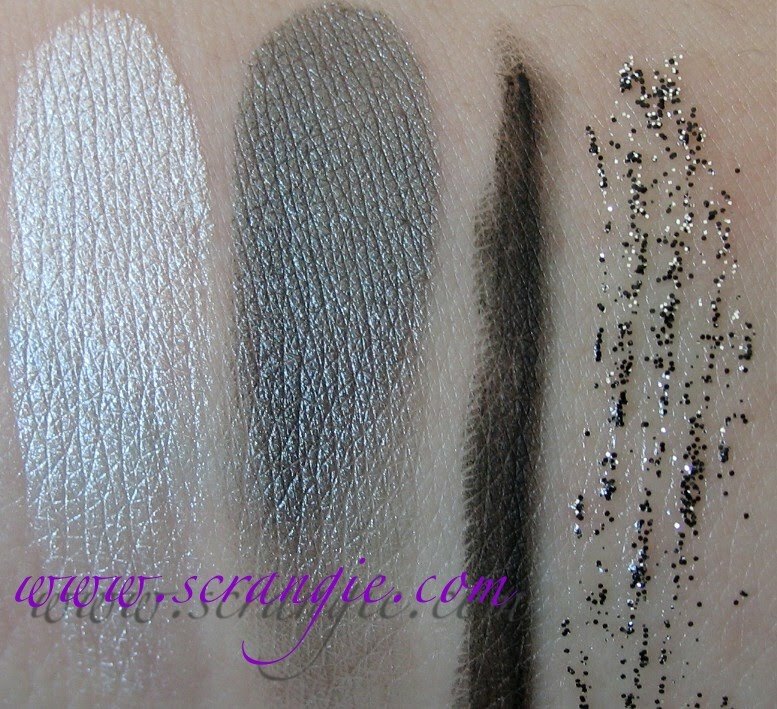 Everything looks great in the package and swatched on my arm, but applying them to my eyes was a different story. The Ginormous mascara was dried out and didn't do a thing for me. 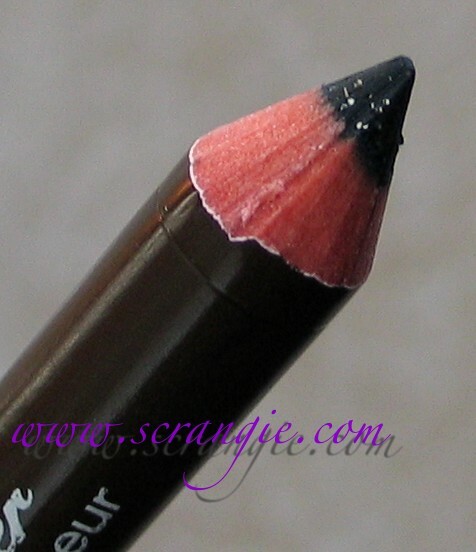 The pencils are hard and they tug, making them difficult to apply. The pencils are also made of wood that has a tendency to splinter when sharpened. The glitter mascara was a little difficult to apply because of the super short bristles, but otherwise it did what it was supposed to. The shadow pigmentation is abysmal, it barely sticks or shows up on my eyelids at all. I had a hell of a time trying to apply it. 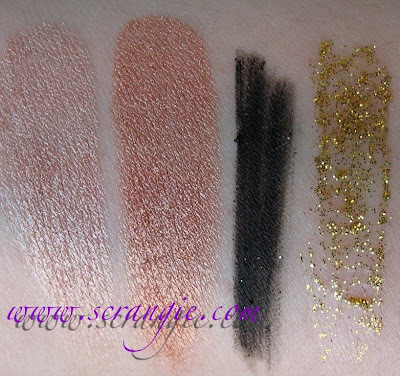 The colors are also quite different in the pan than they are on the eye. I haven't used the primer yet. I'm afraid to try new primers- a bad primer can ruin your whole look! Overall, these two kits were a nice way to try a lot of products at once. They're pretty inexpensive at $8 each, but I don't think I would buy it again at that price. I'm wondering if the full-sized versions of these are better quality? I was really looking forward to wearing the pretty shadow colors in these kits. This would make a nice gift for a younger girl, but not someone who's really a makeup junkie. 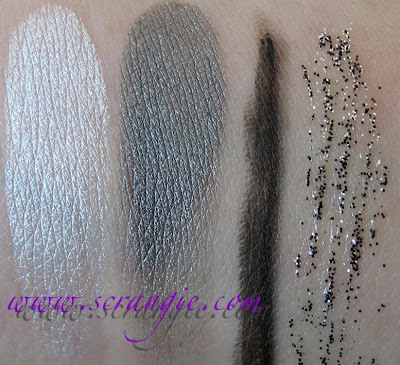 I think the sheer shadows would be nice for a tween girl and I'm sure they'd love the glitter mascara, but they just weren't smooth and pigmented like I expect my shadows to be. I have the First Blush and Glamazon Glow kits to post as well- those were much nicer in quality and I rather enjoyed them. And I did also pick up one of the $5 Face Facts kits in bronze shades.... I'll post that soon, too. I wish we can get this in PR im interested in the first one. Glad to know about these. I don't need any bad makeup. I could use that money to buy some good nail polish. I don't go to Walmart at all. One was built near where a friend works and she went a few times. At least she did get me Hard Candy's Lava which I did want. i was at wally world today and saw these along with the nail polishes. i was so tempted but for 10$ they were the tiniest little mini's ive ever seen!! colors didnt strike me as must have either so dont feel too disappointed! I think the quality of the minis is less than the quality of the full-sized stuff, because I've been impressed with the full-sized eyeshadow and blush I have. I have their face primer, too, which is nice if your makeup tends to cake or dry up and sink into pores. It's a very slippery, silky primer that glides on with the tiniest bit and seems to help my powder products and drier foundations stay on nicely. No idea how the eye one works, though, since they don't seem to even sell it separately. 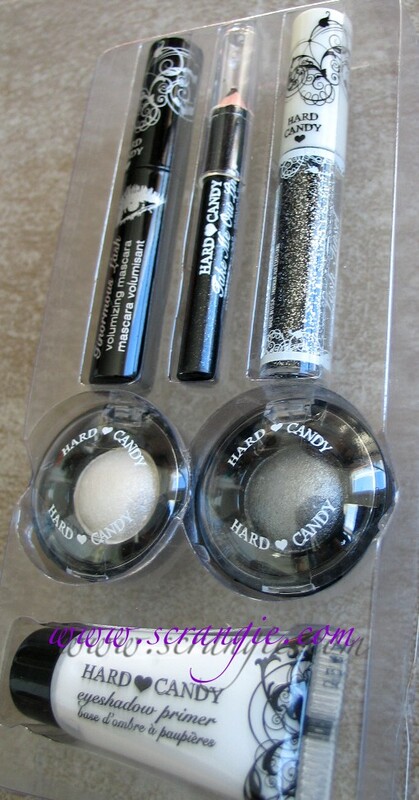 WTH, Hard Candy! 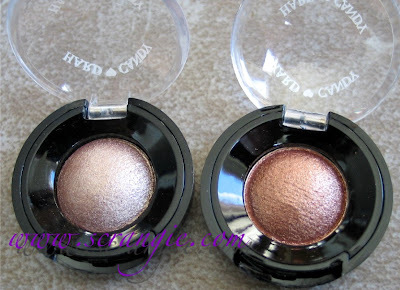 I happen to love thir full-sized eyeshadows and liners a lot, but I don't know how the mini ones work, I love their "Glow All the Way" for a highlighter. 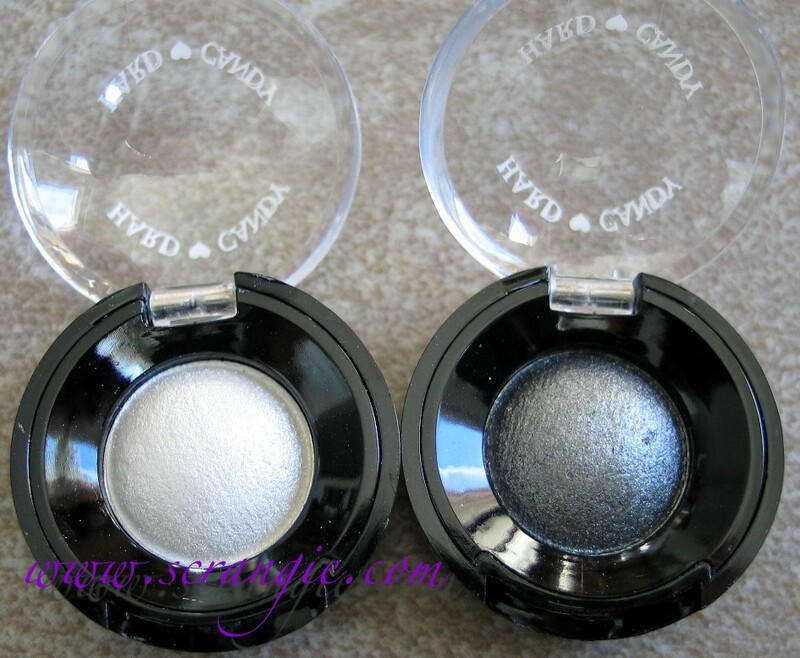 The eyeshadows can be used wet, which makes them apply a lot better than dry. 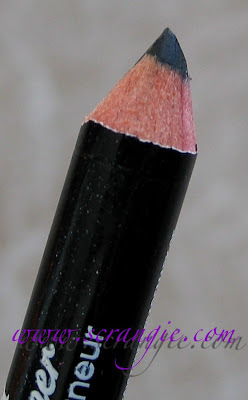 I have a meteoreyes black shadow that i love to wet and use as an eyeliner.